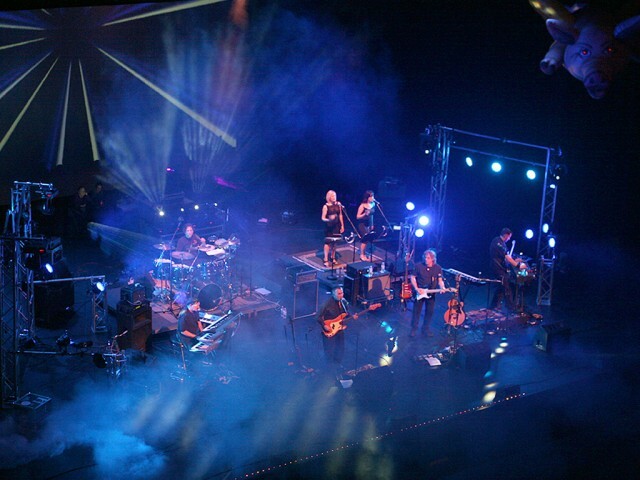 Providing audiences with a unique and full tribute to a Pink Floyd concert experience, House of Floyd focuses on the adventurous live arrangements and sonic explorations of Pink Floyd’s long musical history. 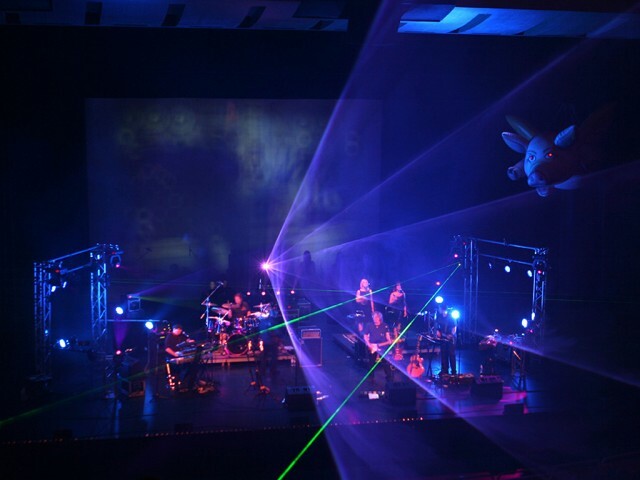 Hailing from eclectic San Francisco, House of Floyd’s immersive Pink Floyd tribute performance does not simply replicate the iconic band’s recorded songs – they bring them to life. The band has gained a strong following for their unique ability to enthuse the hard-core fans of the early adventurous Floyd while also appealing to those who enjoy the songs of more widespread appeal. 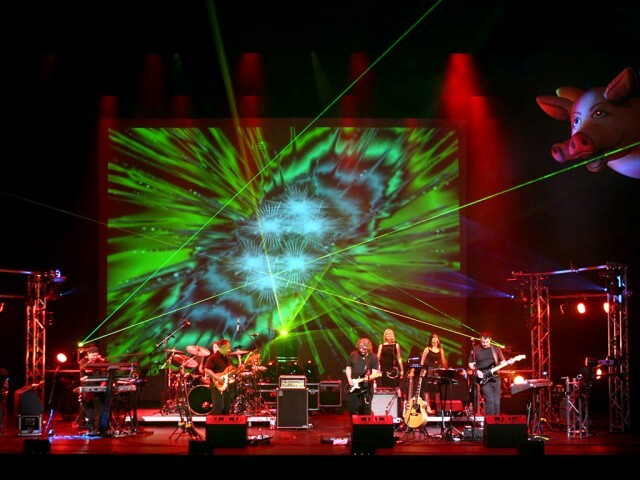 House of Floyd captures the essence of each of the various Pink Floyd eras – from the formative Syd Barrett days, throughout the 1970’s period, and the band’s legacy with Roger Waters and beyond. 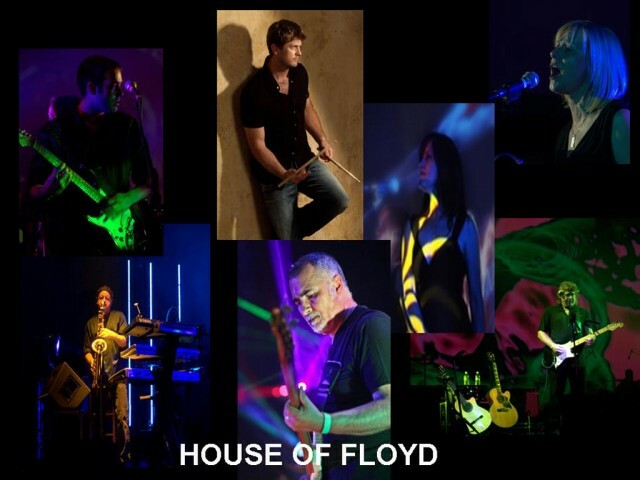 The seven members of House of Floyd include multi-instrumentalists that excel on saxophone, keyboards and guitars. A pair of exceptional female vocalists provides the background choruses and lush tones that are a mainstay in much of the genre. 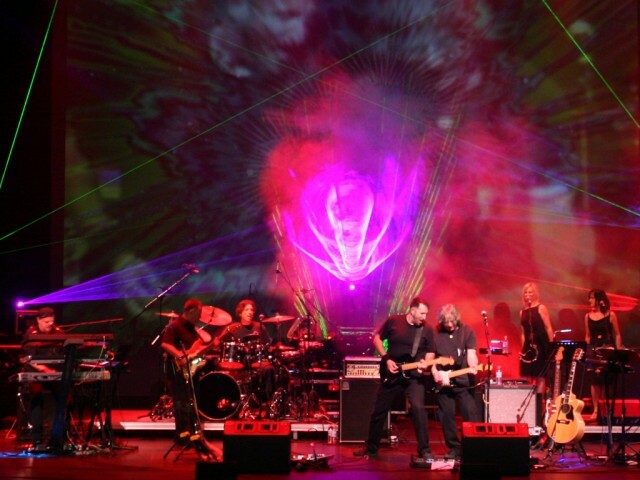 House of Floyd has been performing for over a decade in concert venues across the United States and abroad – even as far away as India. Keyboardist, Saxophonist, and Vocalist Mark Showalter has skillfully played the Blues on many stages and toured with the famous Gregg Allman for two years prior to launching the group, House of Floyd. Guitarist and Lap Steel player Pat Potter is also a keen vocalist. Pat blends his unique style within the tones and riffs of the Pink Floyd long song list. Bassist Lou Portela plays the heartbeat within the music. He also lends his vocal talents and harmony on many rich tracks. Guitarist and Keyboardist Greg Studley (who also displays his vocal talents on stage) does everything with knowledge. In fact, he wrote the book. As a professional guitar instructor, Greg published the book A Guitarist’s Guide to Improvising with Knowledge and he also has several online video tutorials and an informative website. Drummer Stewart Burr keeps the House of Floyd pulse strong from song to solo. Known for his great timing, Stewart joined House of Floyd in time for the 2012 India Tour and has loved every performance. With the ability to play Floyd in the style of Nick Mason, he also spends his time teaching young musicians how to play the drums as well. House of Floyd’s celestial background voices are performed by Sheri Showalter and Melissa Harley. Both talented and professional singers also add layers of percussion to the “Floydian” soundscape. 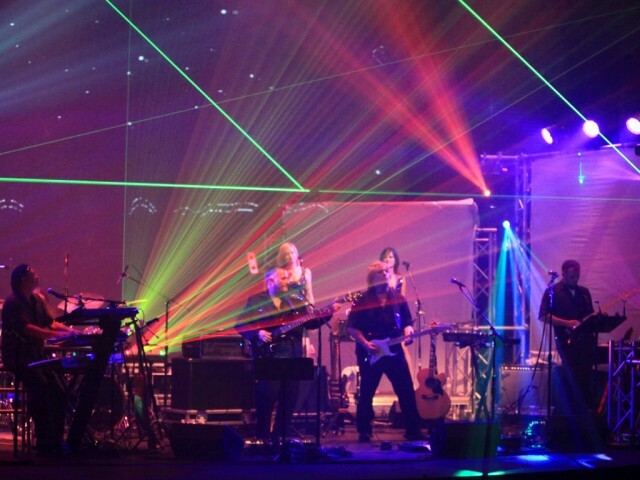 In the Pink Floyd tradition, a House of Floyd concert awes audiences by incorporating sound effects, screen projections, moving lights, and artistic laser shows. Fans may even see a giant inflatable pig! 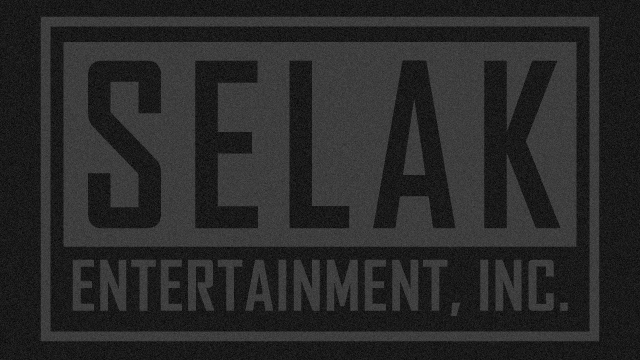 This band is the right entertainment for large music venues, festivals, casino entertainment, night clubs, events, concert halls and large stages.